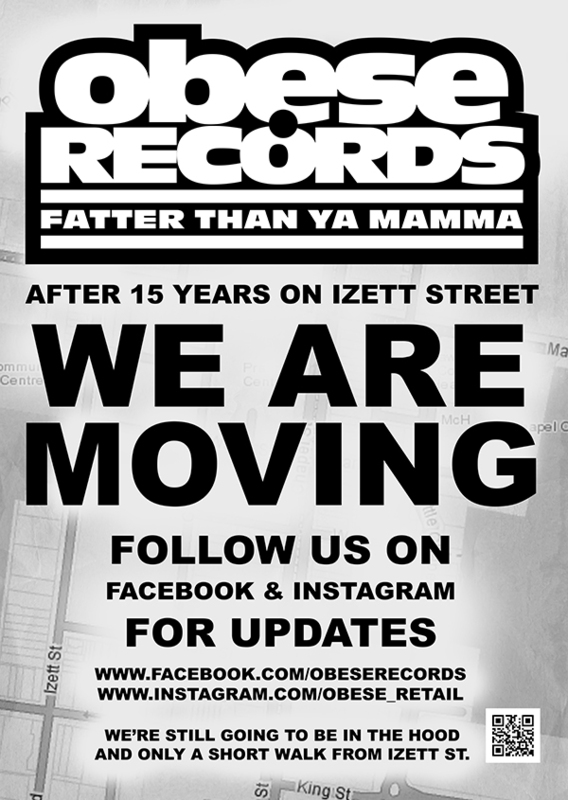 OBESE RECORDS – PRAHRAN – WE ARE MOVING!!!! Time has come and we’re on the move. Make sure you’re following our social media accounts for updates as we prepare to move into a new store.